We can create different garden structures to compliment the landscaping and planting in your garden. 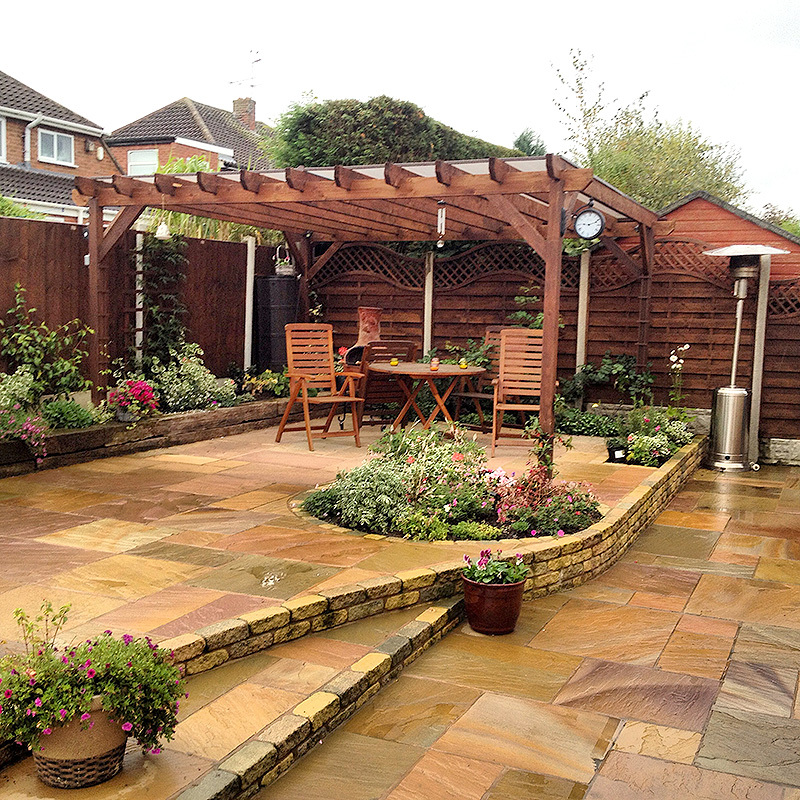 There are many different structures available on the market, all providing different functions throughout your garden. We can build ready made structures or design and construct a bespoke structure. The traditional ‘lean-to’ pergola is frequently made of wood and built against the house to provide a transitory area from the inside to the outside.The ‘stand-alone’ pergola, again usually made of wood, features uprights but no solid sides or roof although we have designed and built several with roofs to provide a sheltered area in the garden. It’s a unique architectural structure places you both inside and outside at the same time, and it’s just the thing to bring your garden landscaping to life. An arbour is a short ‘walk-through’ structure, usually made of wood, that connects one part of the garden with another (say, the vegetable garden to a formal lawn area). These are often used for climbers, particularly roses. A gazebo is a stand-alone structure, usually with sides and a roof, frequently situated to maximise available views, of the garden itself or the landscape beyond. If you intend to buy a pergola or any other garden structure you should initially think about it’s placement in your garden, and the material that matches best with the mood of the area where you will place it. At Perfect Ponds and Landscapes we also install many other types of structure including garden sheds, playhouses, summer houses, archways and Agriframes. Whatever garden structure you desire we can build it for you! Contact us for your free garden structure quote.